If you love roller coasters and amusement parks, then these are the top ten best LEGO sets for you! Two out of the ten are not actually made by LEGO but are compatible with them. You’ll see a few of the prices are outrageous – over $2,000 – because these sets have been retired and are no longer produced. Of course, even for an “average” LEGO set you’ll probably still be dropping at least $100. 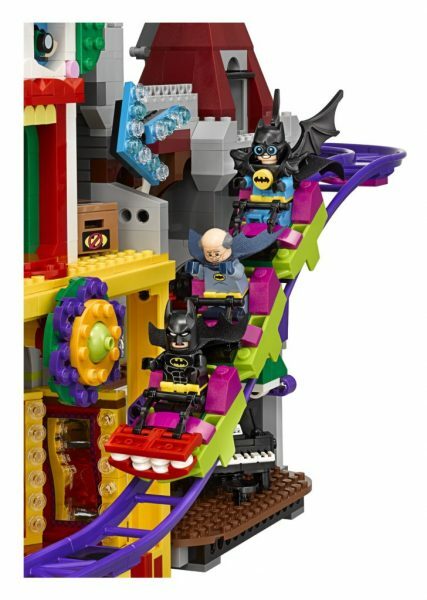 While there have been some really awesome custom creations, it’s nice to see some actual LEGO roller coaster sets are now available for purchase from a retail store. Now, on to the list of the ten best theme park LEGO sets. 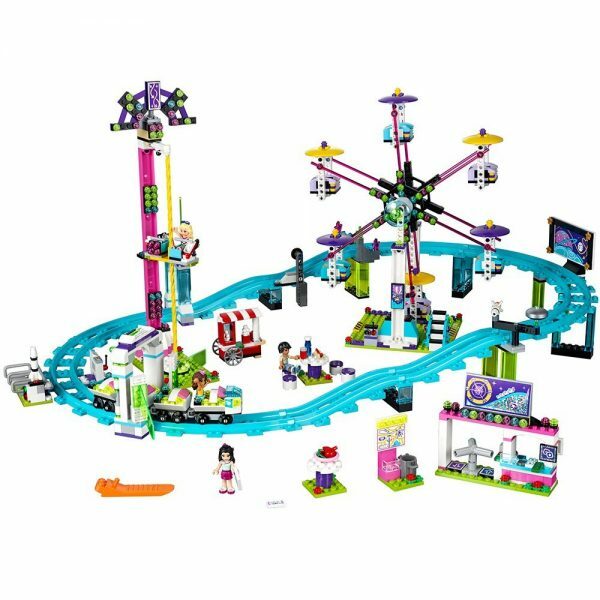 This set includes two amusement park rides: classic bumper cars and a rotating swing ride. There’s also a cute cotton candy stand. This set is the most affordable on this list, but also contains the fewest number of pieces. If you’re trying to build an entire LEGO amusement park the Bumper Cars Set could be a good place to start. See buying options on Amazon. Alright, this one might be a little bit of a stretch for this list but, that’s how few LEGO sets have been geared towards theme park fans. 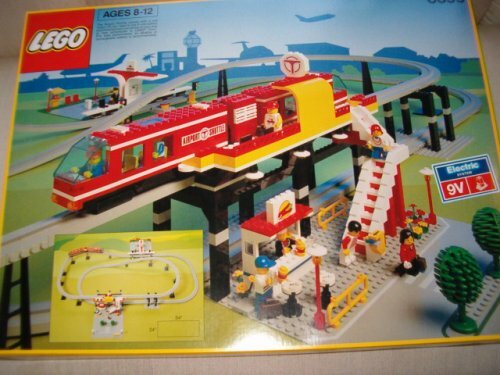 I’m going to justify adding this set to the list because it’s the closest LEGO set you can get to building your own Disney Monorail. If you use your imagine and creativity I’m sure you could turn this set into a really cool dark ride too. You might be able to find a used set on Amazon. 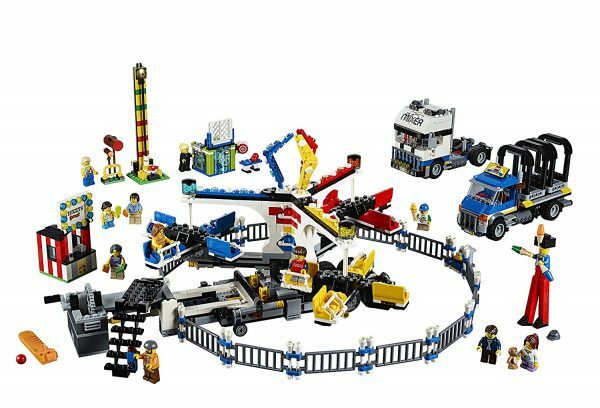 This official LEGO set has a push-along roller coaster with 4 carriages (each sitting a mini-doll), functioning light brick, entrance area with opening safety barrier, control panel with levers, camera and a long track with various obstacles along the ride. With this one set you get a mini-amusement park including a Ferris wheel and drop ride, not to mention ticket and food stands. Even more surprising is it’s one of the most affordable sets on this list. However, the coaster cannot be customized and does not have upstop wheels so it can easily fall off the track. Add it to your Amazon wishlist here. During Brickworld Chicago 2013, the guys over at CoasterDynamix unveiled their first attempt at a LEGO roller coaster, the X-Labs Roller Coaster Factory (110171-A). 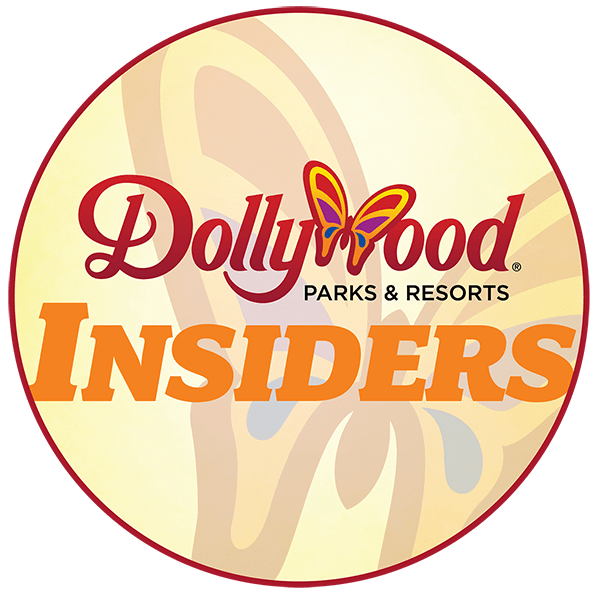 Adam Reed Tucker, the creator of the LEGO Architecture Series, along with engineers at CoasterDynamix had been developing the product for three years to create the first realistic roller coaster set that will be able to integrate with your LEGO bricks. The limited edition set had only 1,000 sets produced so if you were able to get your hands on one consider yourself lucky! This model is a precursor to one of the later sets on this list. Unfold the awesome Fairground Mixer, turn the crank and see it come to life! The fair has come to town and children and adults alike can’t wait to try the rides. Buy your ticket from the ticket booth and climb aboard the Mixer. Then try reaching the golden bell on the high striker or hit the target to plunge the dunk tank lady into the water. As evening falls, the swirling Mixer ride glows in the darkness, before being folded down onto its own trailer for transportation to the next town. Includes 12 mini figures: a juggling man on stilts, dunk tank lady, strong man challenger, ticket lady, truck driver/ride operator, 2 women, 2 girls, 2 boys and a queasy man who tried the mixer one too many times. Mixer truck has opening doors, windshield wipers and removable roof to access interior with bed and TV. Accessory truck holds ticket booth, high-striker and dunk tank. LEGO Creator Expert model has an iconic elegance that evokes feelings of nostalgia, romance and adventure. The carnival has come to town and the ice cream vendor is busy serving a long queue of excited customers as they await their first ride on the magical Ferris Wheel that towers above the fairground. Slowly turn the crank and watch as the Ferris Wheel gracefully lowers the colorful gondolas into position for boarding. Raise the boarding platform with a simple pull of the lever, open the gondola door and help the passengers aboard! 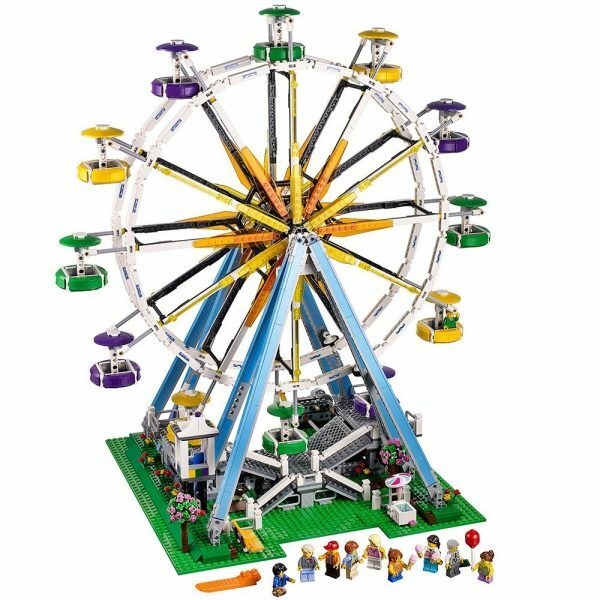 You can also motorize the Ferris Wheel with the LEGO Power Functions 8883 medium motor and 88000 AAA battery box (not included). Includes 10 minifigures: a ride operator, ice cream vendor, 4 children and 4 adults. 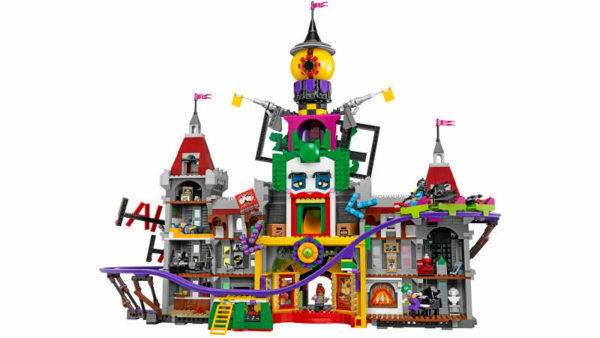 The Joker Manor is packed with iconic details from the movie and cool functions, including a roller coaster encircling the whole building, a huge build-able The Joker head with trapdoor and slide, punching boxing gloves, a rocking ‘The Joker’ sign and rotating ‘big eye’ tower. 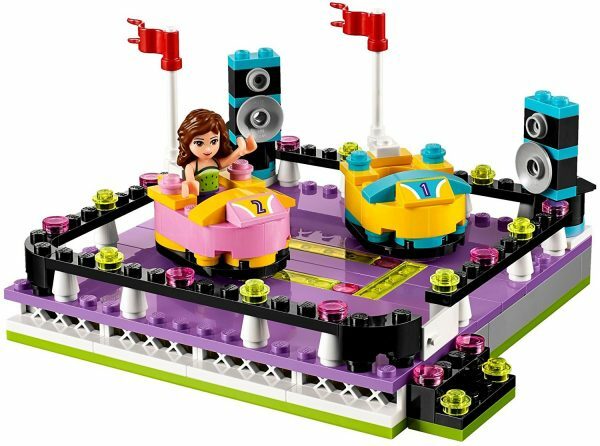 You’re not going to be able to customize this LEGO roller coaster but at least it comes with really cool theming! 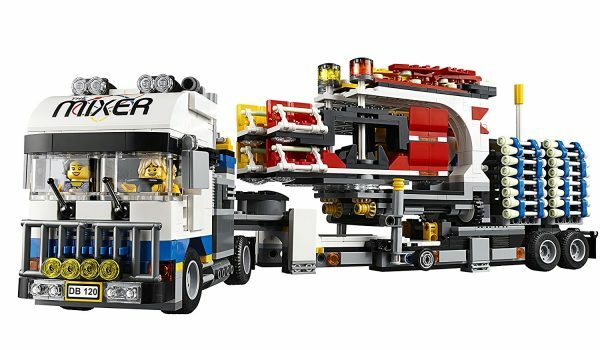 Check it out on the LEGO store. Bring the magical world of Disney to your home with The Disney Castle. 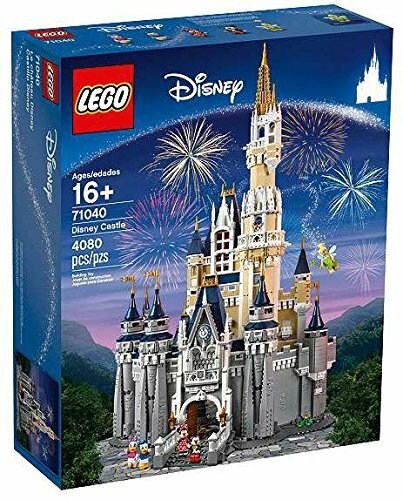 This highly detailed LEGO model with over 4,000 pieces offers a rewarding build and play experience, and comes with an array of exciting Disney-themed features and functions. 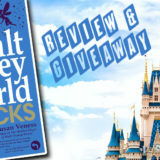 The intricately detailed facade and towers replicate the iconic Walt Disney World Resort Cinderella Castle, and each accessible castle room includes special features inspired by some of Disney’s greatest animated feature films, providing endless play possibilities with the included minifigures: Mickey Mouse, Minnie Mouse, Donald Duck, Daisy Duck and Tinker Bell. 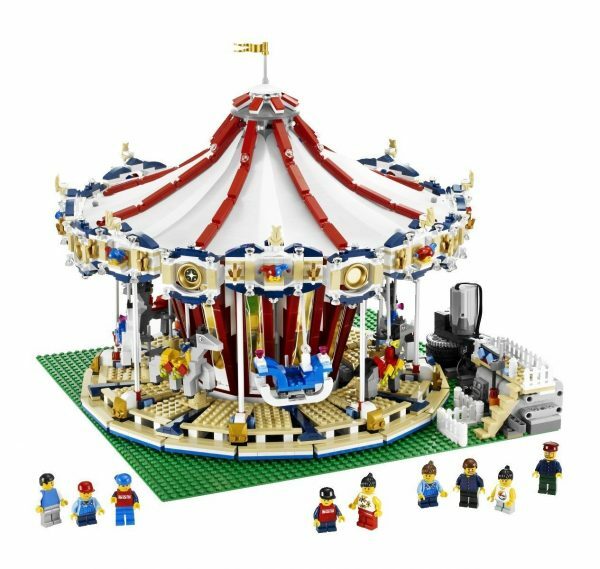 Built with intricate, lifelike ornaments & features, the Grand Carousel is a spectacular addition to any LEGO display or carousel collection. It really spins & plays music while the horses & swing boats move up and down. I really wish I had gotten my hands on one when it was *only* $249. Check it out on Amazon. 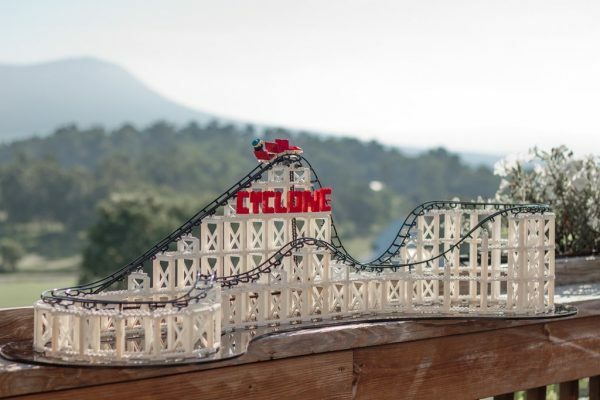 The Cyclone is a block based roller coaster construction toy. 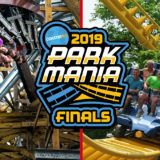 It will be the first commercially available kit that combines the versatility of the world’s leading building block system with the realism and excitement of the CoasterDynamix track system. The result is an amazing roller coaster model that is easy to build and fun to customize, not to mention relatively affordable too. Join multiple sets together to make larger, more elaborate custom designs. So no, it’s not made by LEGO but is fully compatible with LEGO blocks, and maybe that’s a good thing because the coaster system itself is much better designed than any official LEGO coasters that have been released. 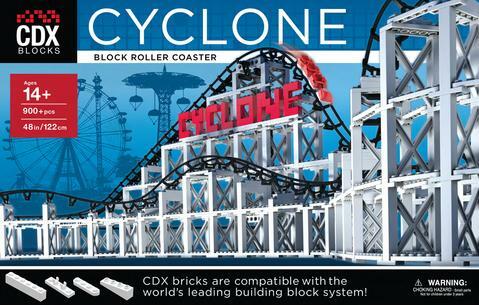 Get your own CDX Cyclone coaster here. Since we created our list LEGO has released two new sets that would clearly belong in this top ten list. 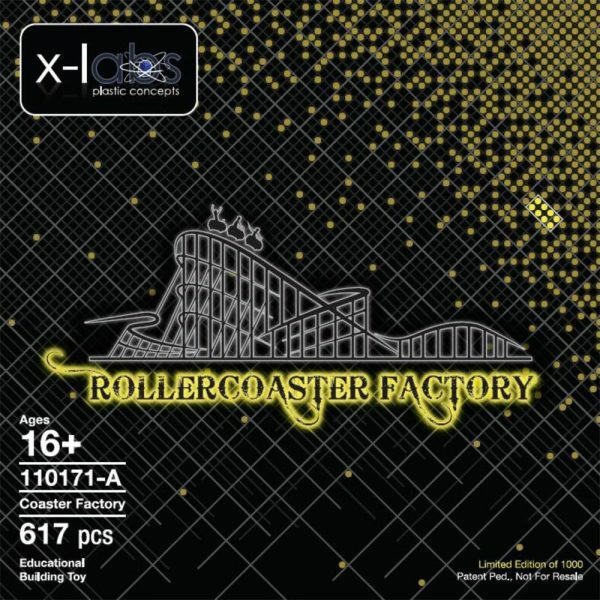 Roller Coaster is a Creator Expert set newly released in 2018 and very closely simulates a real life working roller coaster, complete with details such as a working transfer track! Set includes two trains of three cars each and 11 mini figures. The amount of details is astounding, everything from the chain lift to the ticket booths is included. 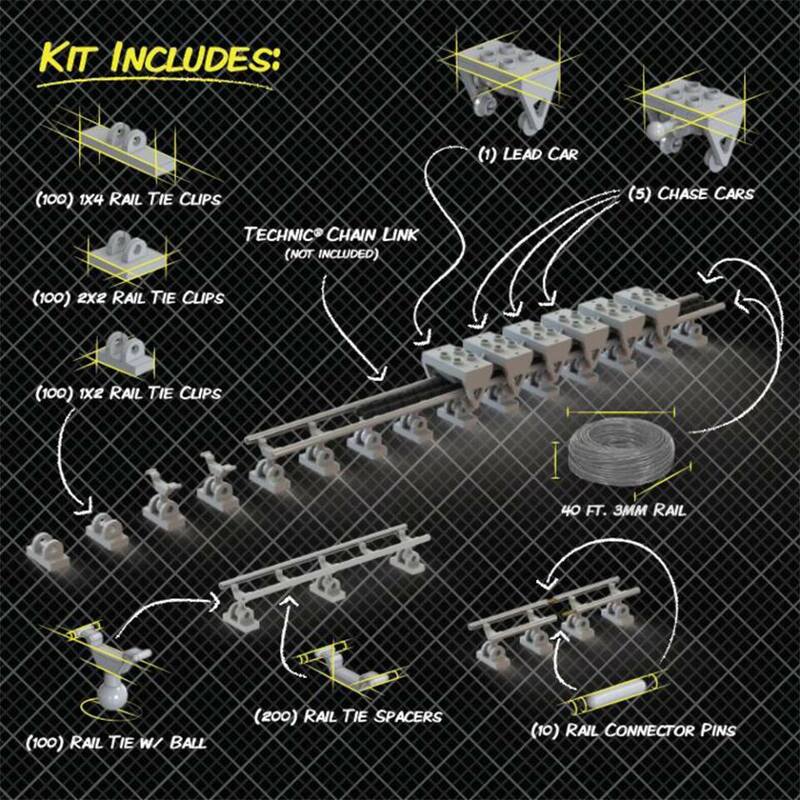 The biggest downside to this set, besides cost, is the track pieces cannot be modified, so it would be difficult using this set to design your own roller coaster, unlike the CDX sets which can be fully customized. 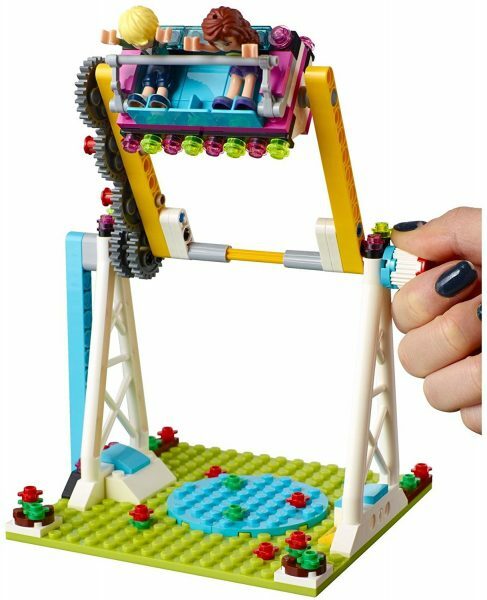 LEGO also released the far more affordable, though not as cool, Pirate Roller Coaster set. Includes instructions on how to build a small shuttle coaster as well. Which of the LEGO sets for amusement park fans is your favorite? Are there any other sets you recommend that I didn’t mention? I know I’ll be building the Cyclone this winter. Please let me know in the comments below!